The two most popular and advanced Forex (FX) trading platforms to choose from are NetTradeX and MetaTrader 4. NetTradeX online CFD and Forex platform has been developed by IFC Markets, while the latter – MetaTrader 4 is the most popular platform among traders. Both platforms have user – friendly interface, are equipped with professional tool for making technical analysis and offer automated trading for those traders that prefer using Experts during trades. 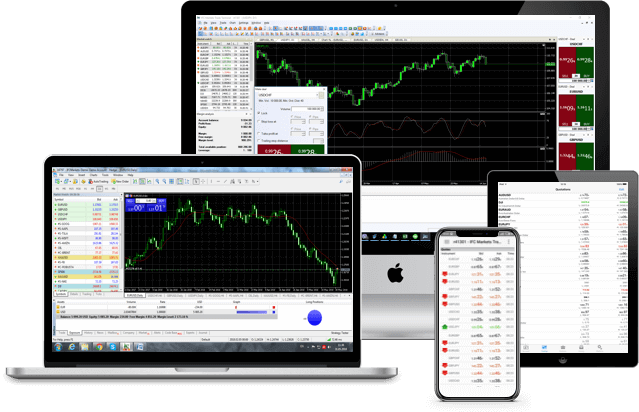 NetTradeX and MetaTrader 4 online trading platforms are available for various operating systems from which you can choose. Each of them delivers rich functionality and convenient environment for trading and making market analysis.